Halloween can get hectic! All those kids wandering around in identity-concealing costumes, all those ghosts, ghouls, and goblins running amok in the neighborhood, all those teenagers still thinking it's funny to smash people's Jack-o-lanterns, all that sugar hijacking everyone's better senses...a night like that requires some extra vigilance from the long paw of the law! Enter Chase, everyone's favorite police pup! Chase will stop at nothing to protect his town, friends, and the public, and he's likely to be a big help directing the heavy foot traffic of trick-or-treating through the streets. 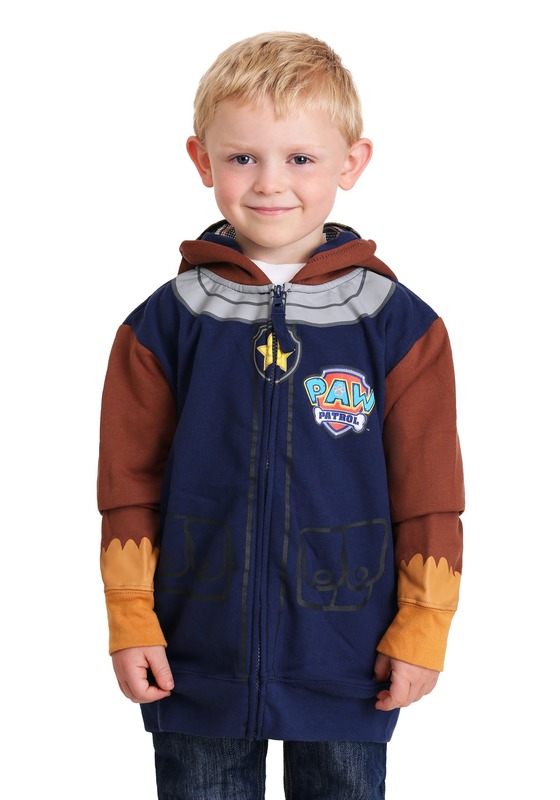 This Paw Patrol Chase Boy's Costume Hoodie can turn your kiddo into their fave character instantly; it's just the kind of no-muss, down-to-business, functional uniform a mature leader like Chase would want. There's no messing around with fancy masks, burdensome jumpsuits, or time-consuming face paint—this sweatshirt makes keeping things in line simple, efficient, and...yeah...pretty fun. Chase is a puppy, after all! This easy-to-wear hoodie is officially-licensed and packs a huge, transformative punch! It's a cool, cotton-blend base with a front zipper and ribbing at the cuffs and waist. The design is meant to mimic Chase's fur (brown) and police uniform (navy), with the German Shepherd's signature little ears poking out of the top of the hood when it's pulled up. But that's not all! The hood also has a mesh eye mask that gives your kiddo Chases puppy dog eyes. No one will be able to resist handing over an extra treat or two, especially given all the help your kid has been! 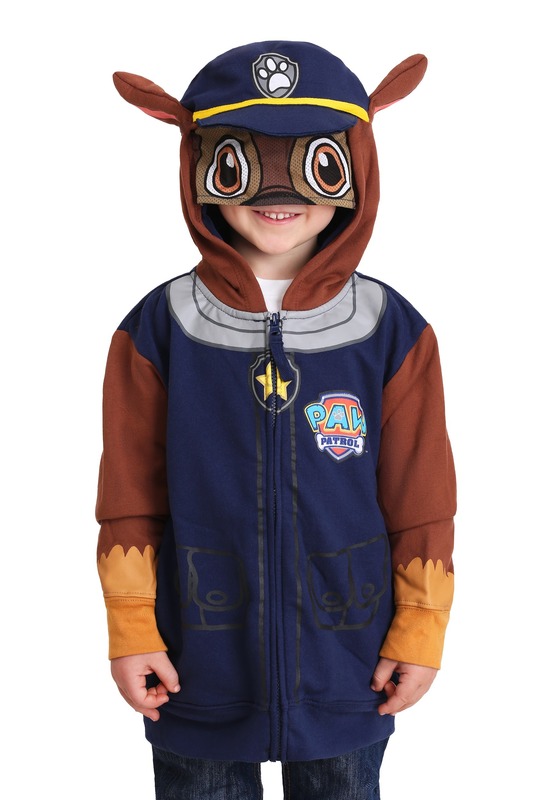 One great thing about this hoodie is that it's as easy to pull off as a costume as it is for a casual day at the park. Of course, being Chase requires your kid to always be on the lookout to ensure safety and lend a helping hand, when possible. Hey, that doesn't sound half bad! Maybe this sweatshirt can become a regular part of their weekly wardrobe rotation.